Tim Bush introduced Lee Backhaus and Roger Johnson. This past November, they won the 2015 4A-Classics 60 and older Division Roby Hobbs World Series Championship down in Fort Myers, Florida as members of the statewide Minnesota Bees. 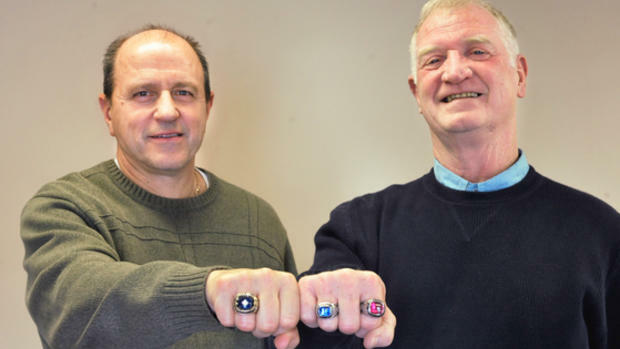 They are shown here with their championship rings.